The Spectra milk storage bottles are made from 100% polypropylene and are Bisphenol-A free. 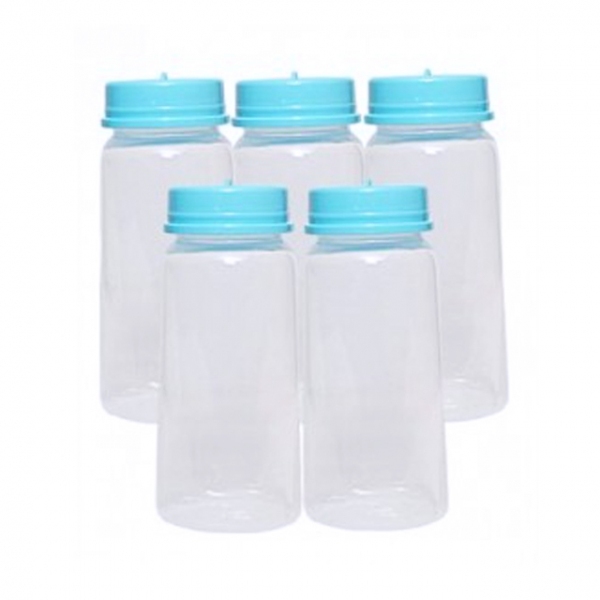 This is the most suitable material for storing breast milk. They are easy to clean and sterilise and can be used in the dishwasher. They are light and unbreakable making them suitable for both storing and transporting milk. The bottles are designed both for storage in the fridge and the freezer. 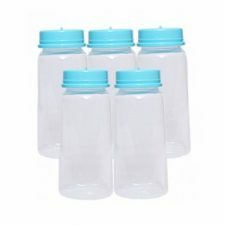 The bottles all have a sealing disk that prevents milk leakage. Each pack contains five 150 ml bottles, lids and discs. Although they are designed to go with the Spectra Electric Breast Pump they will fit most standard breast pumps.